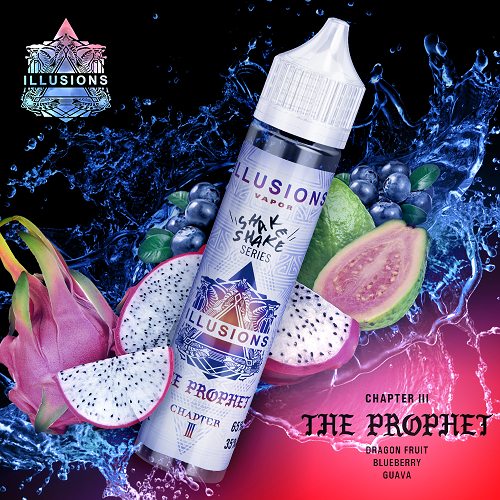 The newest offering by Illusions Vapor, The Prophet is a tropical medley of dragon fruit, juicy blueberry with a refreshing guava finish. Illusions has done it yet again… I thought it was going to be impossible to beat some of their classics like taste of gods and spellbound but they just may have done it with The Prophet… unreal juice.. can’t put it down! !